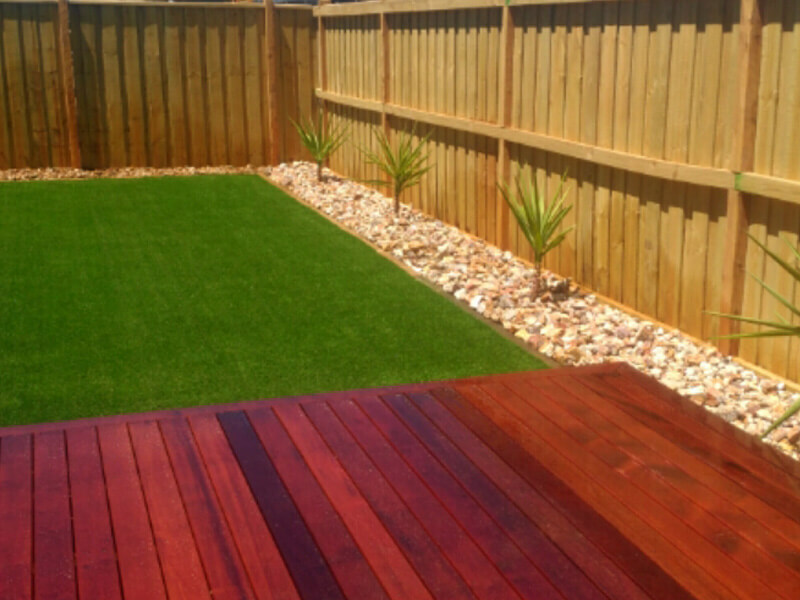 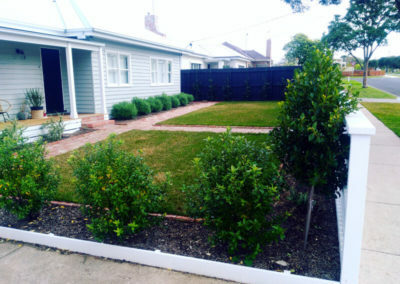 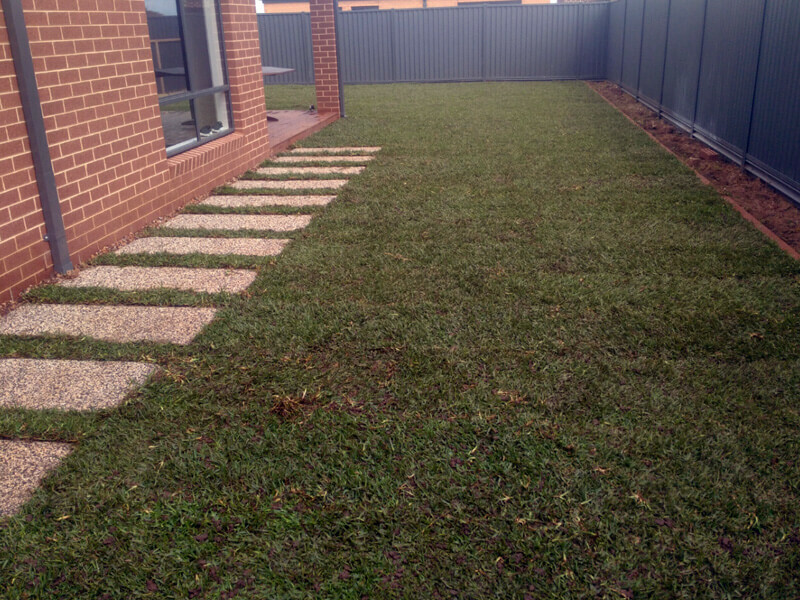 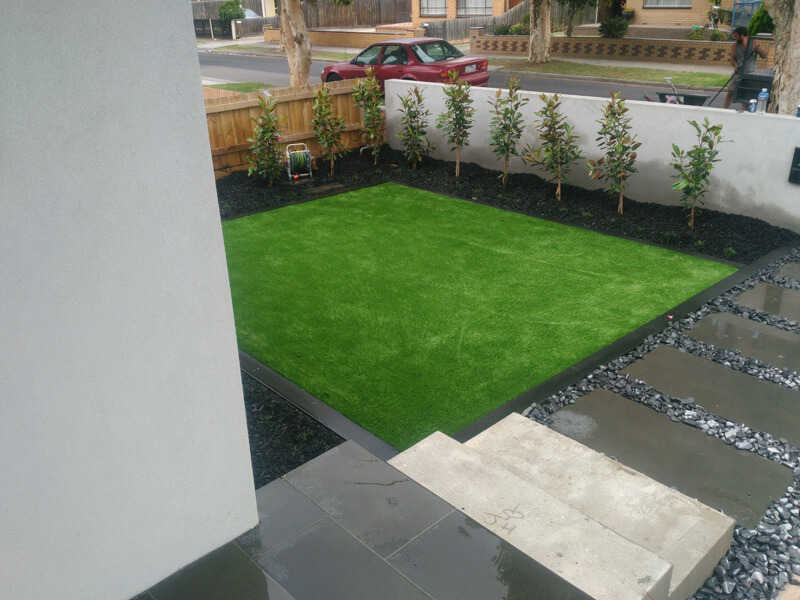 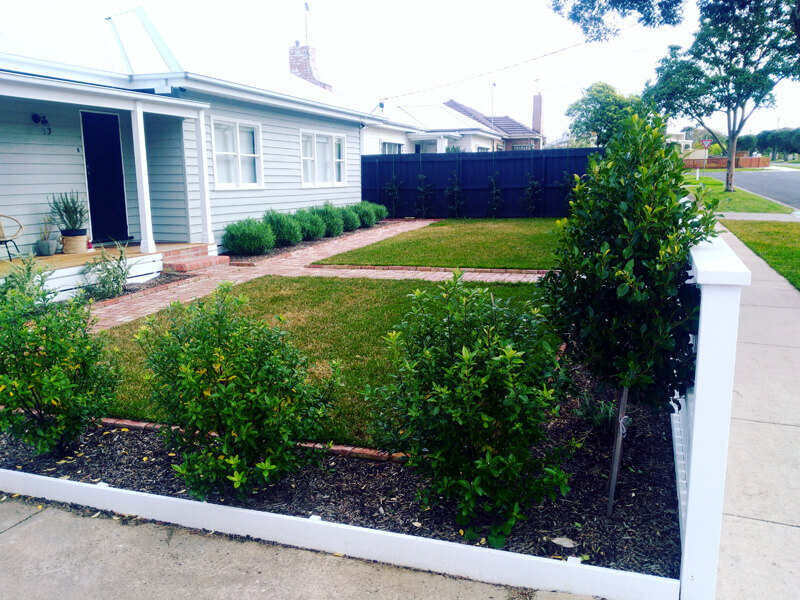 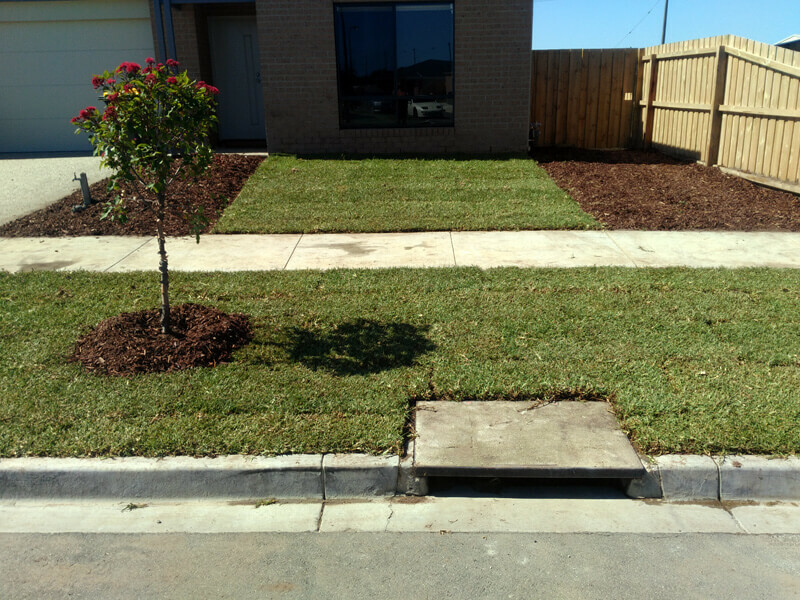 Rigid Landscapes offer a lawn installation service to both home owners and commercial clients in Geelong for natural turf and instant grass (synthetic grass). 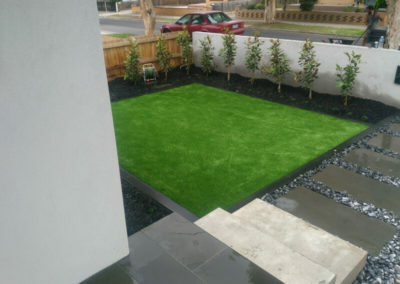 You can select either synthetic turf (instant lawn), which is becoming more popular over time or you can opt for the more traditional natural living grass, depending on your needs. 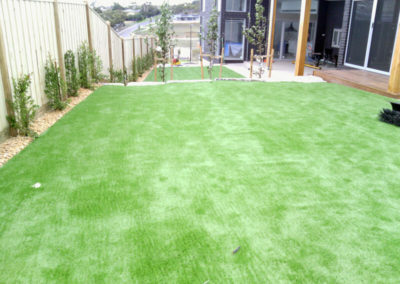 What are the benefits of Synthetic grass? 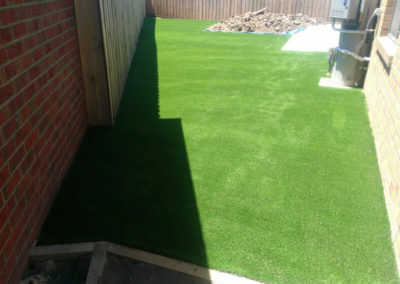 Synthetic grass (artificial grass) has come a long way over the past few years and no longer looks like a green plastic carpet on the ground. In fact, some of the higher quality instant lawn materials are hard to pick, fooling many people into believing that they are actually natural grass. 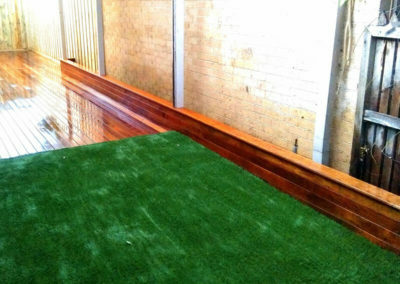 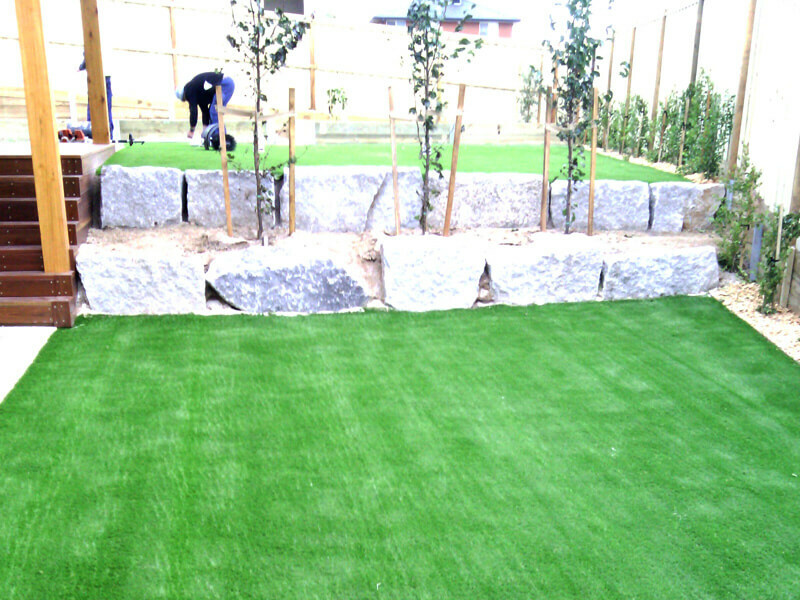 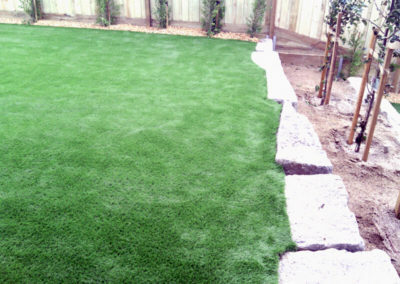 Artificial turf is very low maintenance and doesn’t require mowing, whipper snipping, fertilizing, weeding or watering. 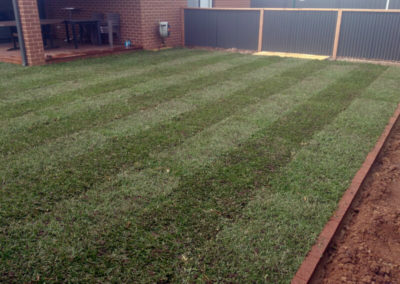 Lawn installation is pretty fast and will continue to look fabulous for any years into the future. 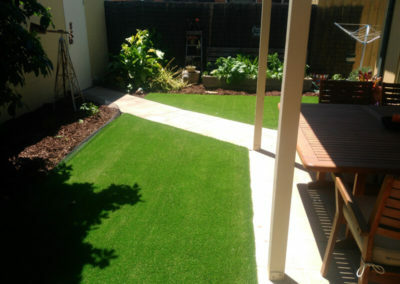 What are the benefits of natural turf? 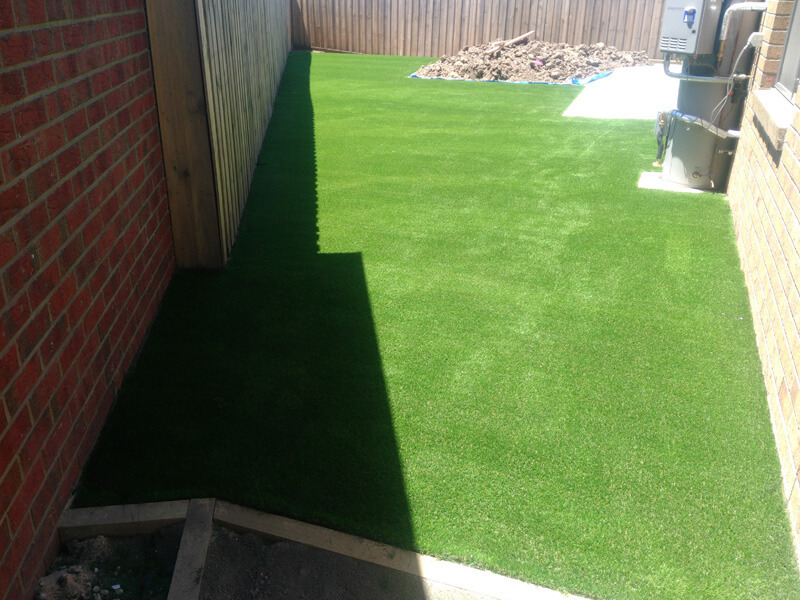 Obviously, Aussies just love to spend their weekends mowing the grass, in this case synthetic grass wouldn’t be their best choice! 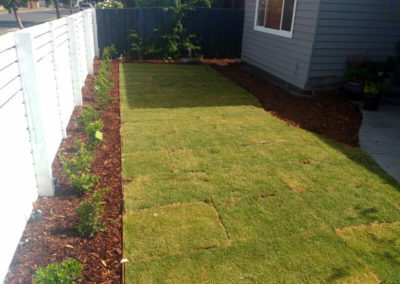 Seriously, most of us still have natural turf in our yards and to be honest, most of us will always prefer natural grass to synthetic grass, even though synthetic grass is so much easier to maintain. 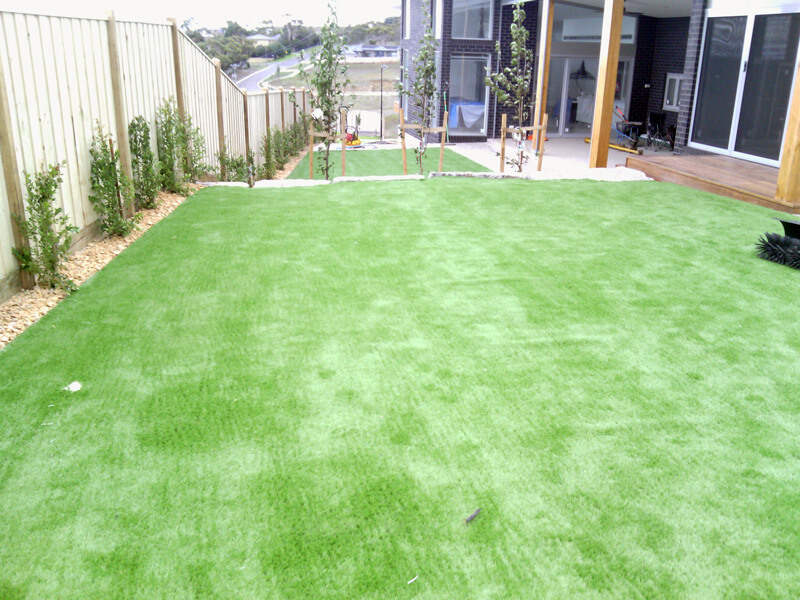 What types of natural turf are popular? We source our turf from a number of good quality turf suppliers in Geelong, and we find that there are a number of grass species that are more popular than others. Buffalo Grass is pet friendly, hardy and course on your feet. 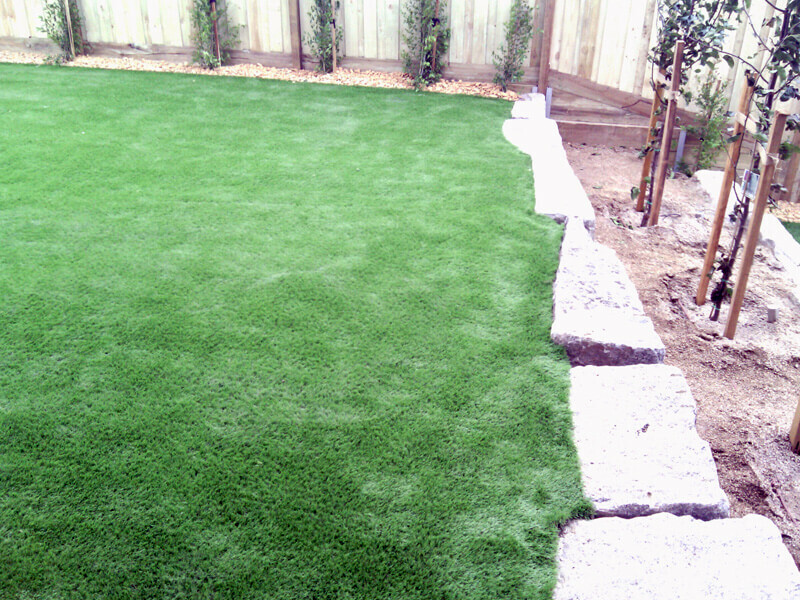 Santa Ana Couch Grass offers a fine, softer look than Buffalo grass. 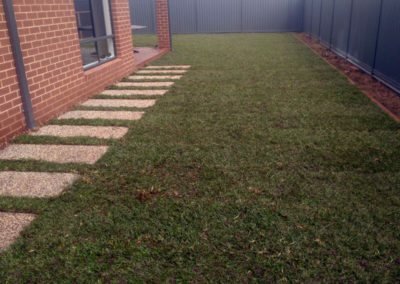 Kikuyu grass is both a hardy and durable grass. 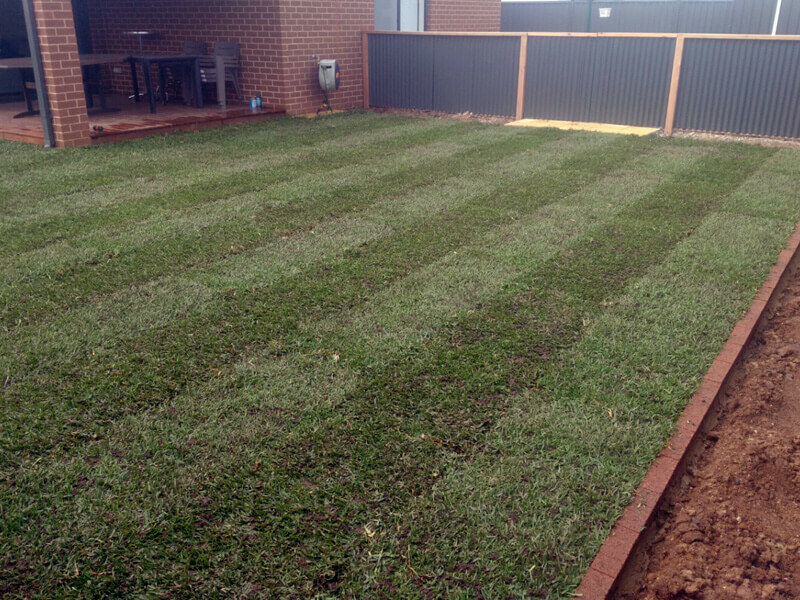 Tall Fescue Grass is a winter grass, but looks good all year round (it will need extra watering in the summer). 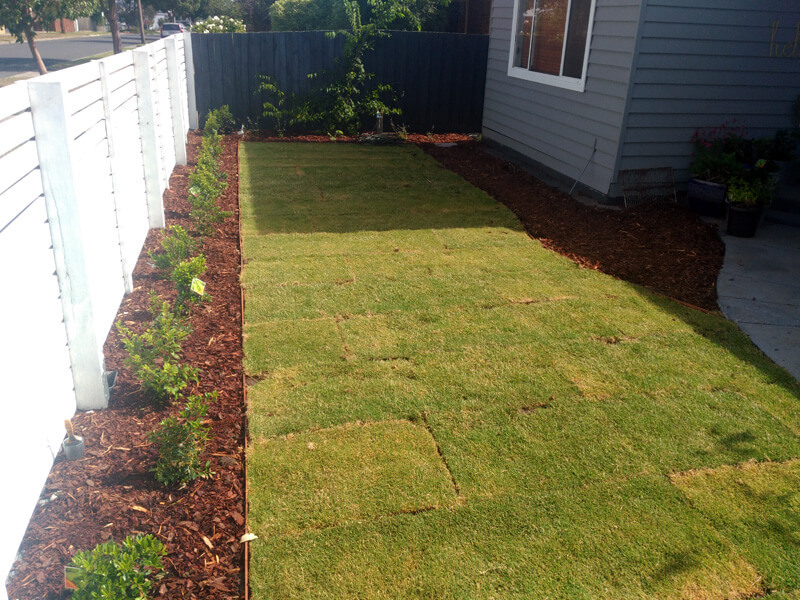 Fine Fescue is another winter grass that looks good all year round, but also needs additional watering in the summer months. 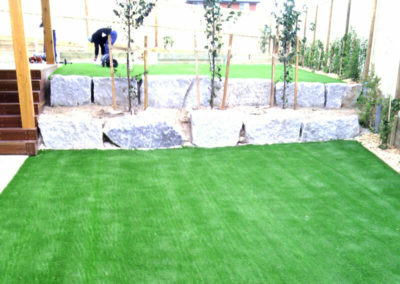 Bent Grass is golf course quality grass, but it is high maintenance. 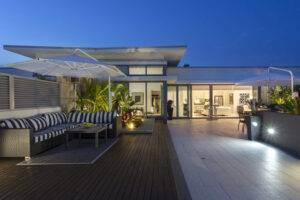 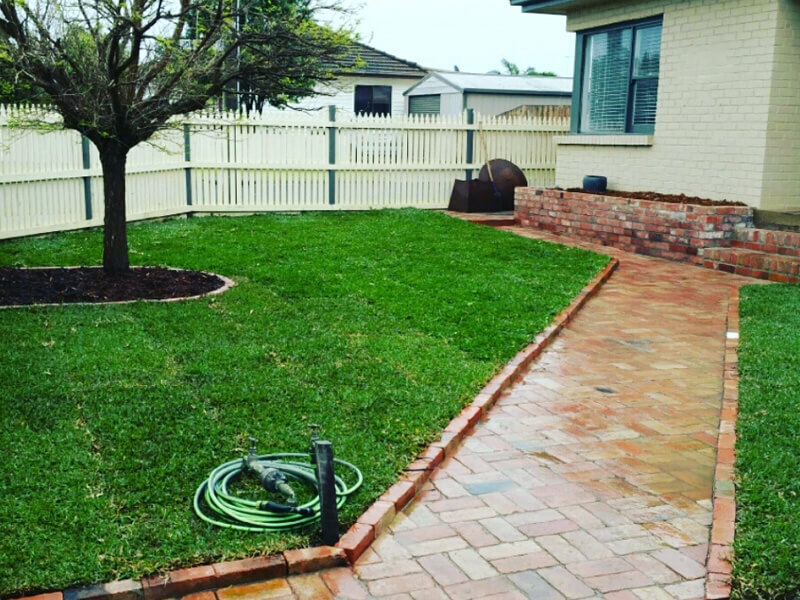 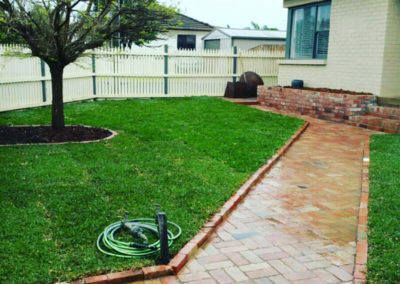 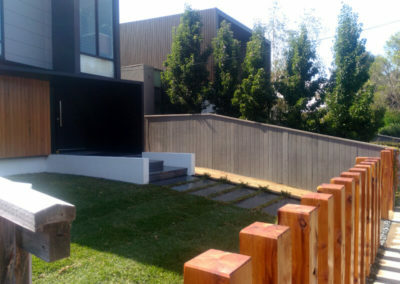 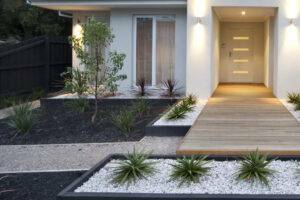 If you are looking for a landscaper to revamp or install a new lawn area in Geelong, call Rigid Landscapes on 0415 345 439 today to arrange an on site inspection and quote.